It’s the second part of my homeserver build. You can find the first part here. 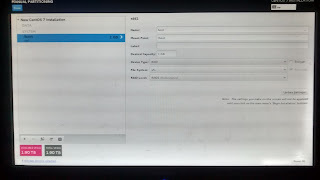 I have initially planned to use NAS4Free for the os. But later changed to Centos 7 as Redhat distributions were my favourite one. And also i would like use GitLab and need run the server as well as NAS server as well as a testing Home Server. As it’s hard to use a wired connection to the router i compelled to use a Wifi dongle which will not be supported by the NAS4Free.